If you have been injured by a dog bite, it is important to explore your legal options. In Arizona, the statute of limitations for most personal injury cases is two years. This means that after an accident you must file a lawsuit against the liable party within two years. A dog bite suit, however, must be filed within one year. There is no time to lose. If you have been attacked you need to start looking into your legal options right away. Laws regarding dog bites vary from state to state. States either have a one-bite law, which is explained further below, or they have a specific statute placing a dog owner liable for an attack. 18 states currently have a one-bite law regarding dog bite cases. Under a one-bite law, owners are not held liable for dog bites or attacks unless the owner had reason to believe that their dog was dangerous or that they were prone to attack. A dog may be considered dangerous if it has previously bitten someone, barks or postures aggressively, jumps on individuals or in some cases if the dog is a breed that is known to be dangerous. Once a dog has displayed aggression, the owner will be held liable for any future attacks or bites. 32 states, Arizona included, have a dog bite statute implementing strict liability on a dog owner for their attacks. Under strict liability, a dog owner will be held accountable for a dog bite or attack even if their dog has never shown signs of aggression. 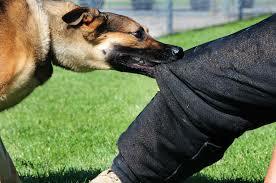 There are only two instances where a dog owner will not be held liable after their dog has attacked someone. If the dog was provoked in some way or if the plaintiff was not legally allowed to be in the location in which the bite took place. Often, it will fall to the plaintiff to prove that provocation did not occur, necessitating the retention of a lawyer.